The UK travel industry brand exhibited how it has implemented augmented reality during pre-departure and inspiration stages of customer communications. 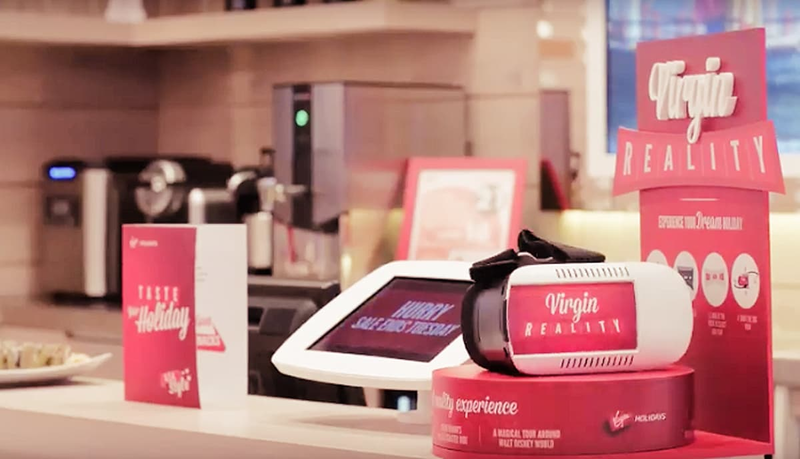 Virgin Holidays is becoming increasingly reliant on augmented reality (AR) for reinvigorating its marketing email campaigns to pave the way for the delivery of highly engaging and personalised content for its travellers. Liam Savage, CRM executive at Virgin Holidays, spoke to CMO on the subject. He remarked that the company was seeking avenues for adding a human touch to its digital email campaigns, for enhancing customer engagement during the pre-departure and inspiration stages of travel. Virgin Holidays had introduced a ‘ready-to-travel’ program for communications back in 2018, to disseminate interesting information to travellers during their journey phases. It was a development that followed the program for creating data-based customer perspectives by the company. As part of the latest development, the Virgin Holidays marketing team launched a new communicative emails suite. Savage remarked regarding the constant drive of Virgin Holidays towards enhancing its travellers’ journeys. According to him, veering towards AR was the logical path for the company. Savage further elaborated, referencing the Virgin Brand’s core values, which encompass taking both head and heart approaches for creating positive experiences. He stated that Virgin Holidays as a brand encourages its employees to look beyond conventional methods for transforming the travel industry. According to Savage, the company is putting in considerable efforts for humanising its email campaign, in line with its digital communications strategy. He explained that the approach is not overtly promotional, and it involves aiding customers to express their insights regarding trips. The company is working with visually captivating content, with a key focus on humanisation of content delivery. Virgin Holiday has also become the first client of Movable Ink to use the developer’s browser-based augmented reality features for communicating with airline customers. The UK travel industry giant and Movable Ink have been in partnership for several years. ‘Future Forecast’, the first campaign by Virgin Holidays, was geared towards engaging customers during the pre-departure stage. Augmented reality features could be utilised by customers to click selfies with the destination in the background. The selfies featured the names of customers along with weather forecasts. Any photographs taken with the augmented reality features were shareable on social networks including WhatsApp and Facebook. The parameters such as customer name, destination and departure date are displayed as part of the personalisation feature. The technology informs customers where selfies can be taken, utilising a QR code or a call to action button. Savage remarked that customers were positively impacted by the technology due to two factors, which were reduced trip anxiety and rise in anticipation levels. According to him, research conducted by the company revealed how many travellers experienced travel-related stress. This inspired the company to create interactive ways of communication while keeping the engagement high. Savage believes that enabling customers to capture and post selfies on social media creates better talking points. It is a major step by Virgin in the domain of augmented reality.